. 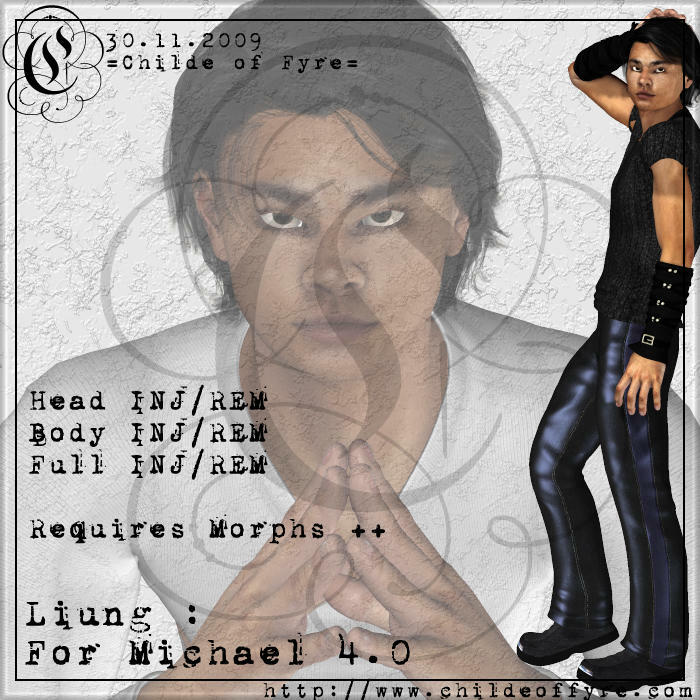 :: Liung For Michael 4.0 ::. This guy's name is Liung. He's a sort of introverted tech-head type for me. I suppose he could be whatever else you might want him to be, though. You need M4's Morphs++ package in order to use Liung.